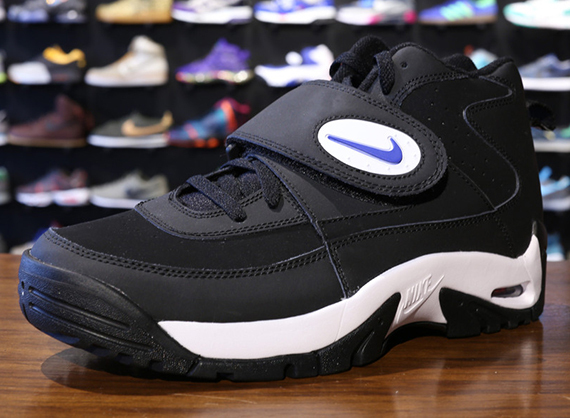 The retroed Junior Seau endorsed Air Mission hits retailers in a clean Black-White-Royal color way. I specifically picked this color way in honor of the football legend. The 12-time Pro-Bowler and 10 time All-Pro was found dead with a gunshot wound to the chest at his home in Oceanside, California in May of 2012. Known for his passionate playing style, Seau made the Nike Air Mission sneaker what it is today moreover my unanimous SOTM. Fast and sleek, these sneakers are ready for the gym or the streets. I remember this ’90s model designed for the gridiron on the professional and collegiate level growing up. They have football training features and fresh screaming all over it. Seau started 13 seasons for the Chargers before being traded to the Miami Dolphins, where he spent three years before four final ones with the New England Patriots. The classic Air Mission returns in true form, complete with a full nubuck and leather build, midfoot strap and heel air cushioning. Black covers most of the shoe, working together with contrasting white accents over the midfoot strap and midsole below. Finishing them off, we see royal blue covering the midfoot Swoosh logo. A rubber outsole with traction keeps you grounded, and the Max Air unit in the heel ensures soft landings. A midfoot strap keeps the fit perfect, so you get a distraction-free training session. 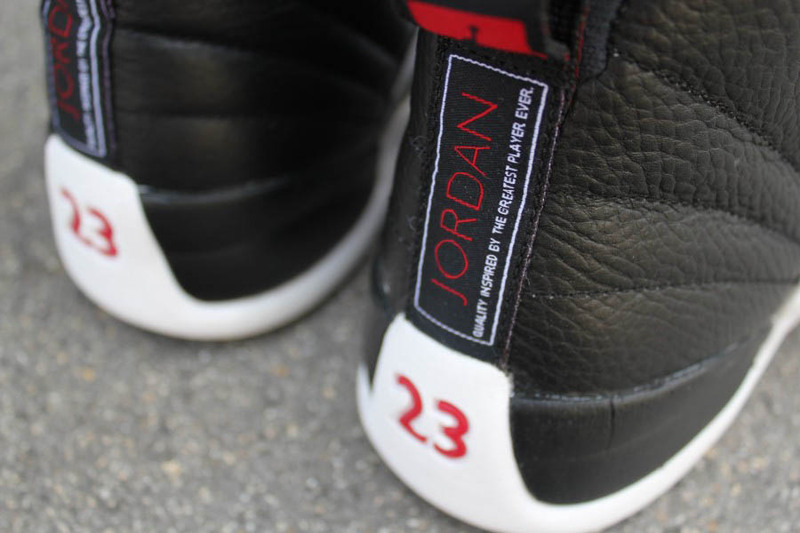 Crack open the piggy bank for $120 to own a pair.